BPSC Non-Cadre Job Circular Update 2018 has been found my website. 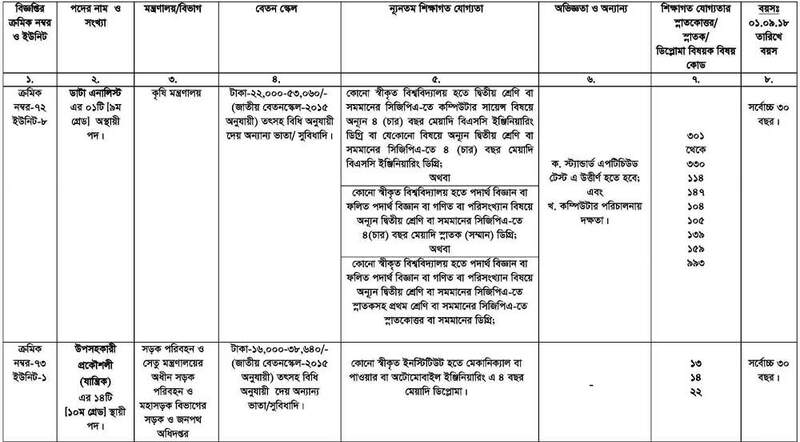 Bangladesh Public Service Commission or BPSC already published new job circular published. 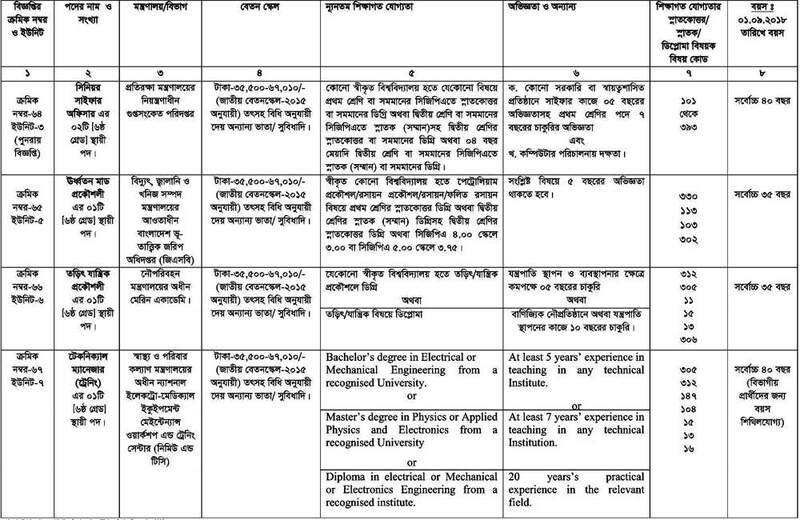 Bangladesh Public Service Commission or BPSC has total job vacancies are three hundred five (305) only. Non-Cadre Job Advertisement deadline 8th October 2018. 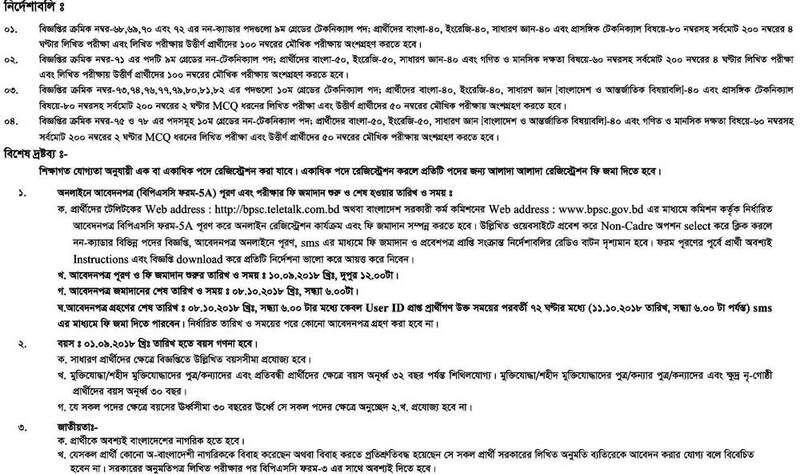 If you know about any job information government or non-government then must visit this site and get you any job related circular. 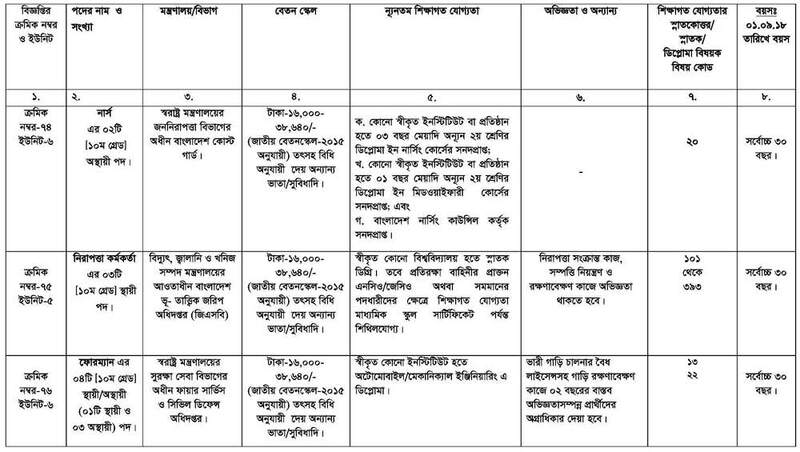 Bangladesh Public Service Commission or BPSC Non-Cadre job vacancies under this serial no is 58-67/2018, 68-82/2018, 83-94/2018 of Different Category under Different Ministry Job categories job circular 2018. 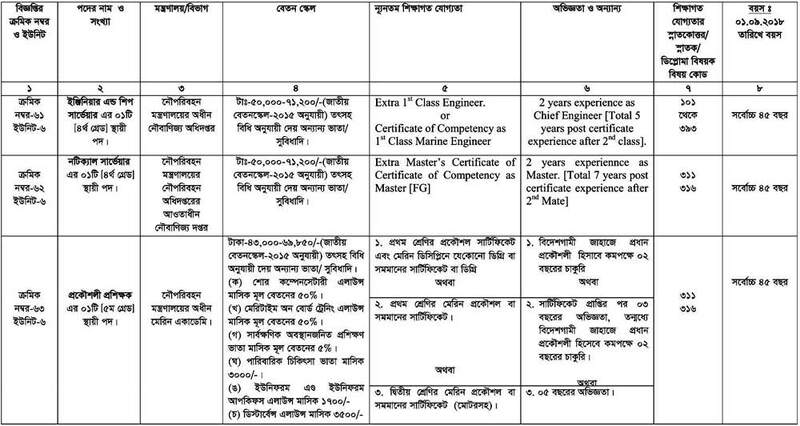 BPSC Non-Cadre Job Circular online apply starts 10th September 2018 and continue up to 8th October 2018. Note that, the applicant must have to submit the fee within 72 hours of application submission. Educational Qualification: Post Graduation Degree from any recognized university/Four year’s term degree after passing HSC examination. 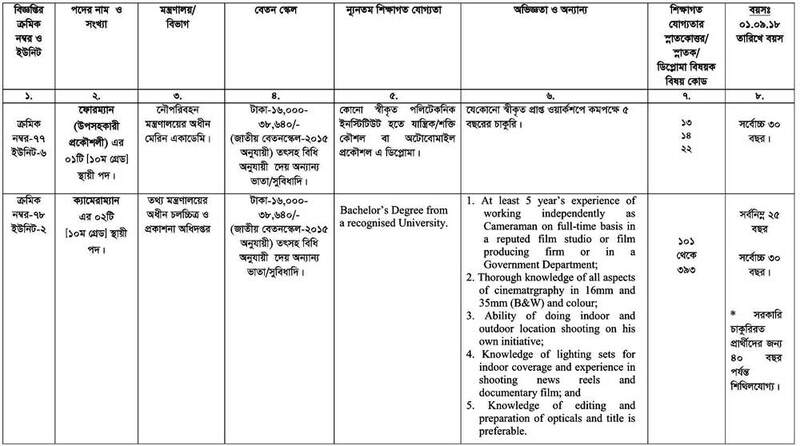 Salary and Benefit: See Job Circular with other allowances. 2) Fill up the BPSC Form-5 according to the direction. 3) Scan a colored picture of less than or 300X300 pixel, the file size of less than 100 KB and upload in JPG format. 4) Scan a signature of less than or 300X80 pixel, file size less than 100 KB and upload in JPG format. 5) After successfully filling up and submission the BPSC Form-5 the applicants will be provided an “Applicant’s Copy” with a User ID and Photo & Signature which should be printed or downloaded. 6) Using this User ID the applicant will have to submit fee through SMS by a Teletalk Mobile Phone. [See the SMS method in the Advertisement below.] 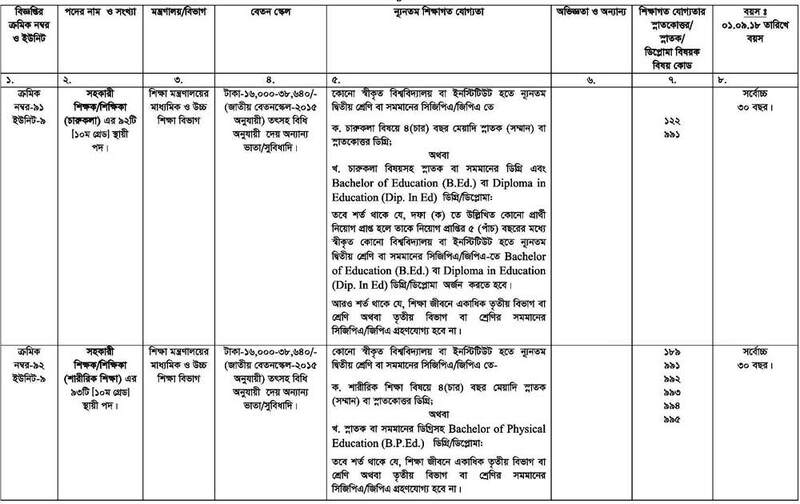 BPSC Non Cadre Job Circular Update 2018. 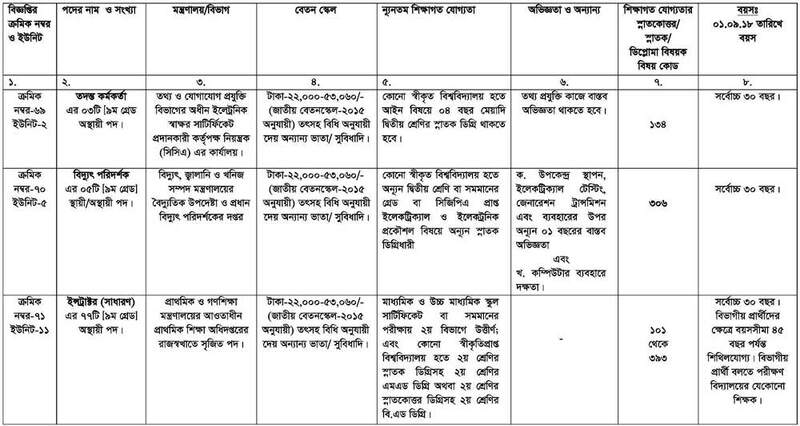 Non Cadre Job Circular BPSC All Update 2018. 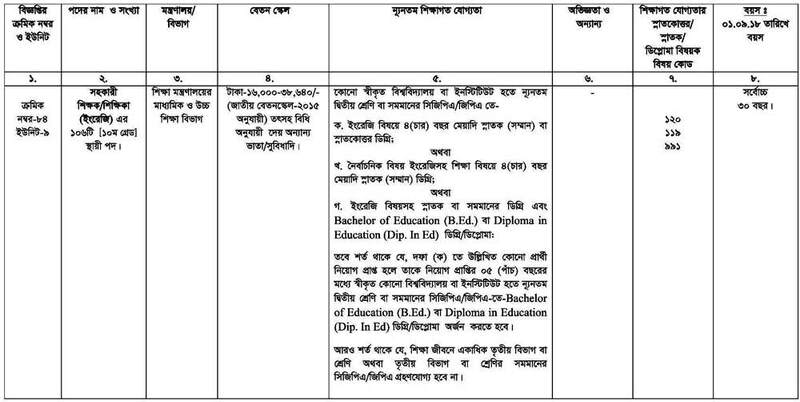 BPSC Non Cadre Job Circular All Update on 10 September 2018 found here. 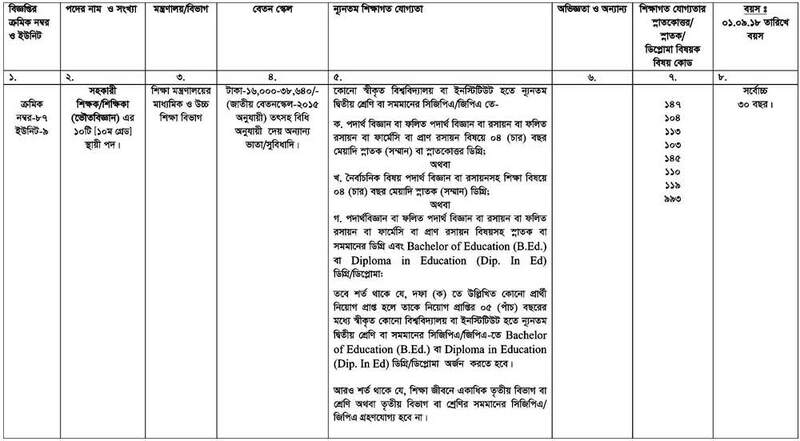 Download BPSC Non-Cadre Job Circular all update advertisement under the Different Category of Different Ministry Job Apply from here. 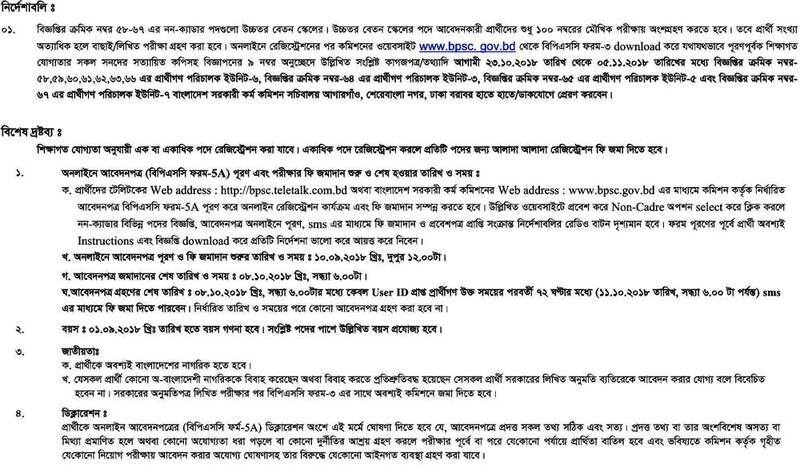 In this regard, you may visit the Bangladesh Public Service Commission (BPSC) Website www.bpsc.gov.bd or Teletalk web address http://bpsc.teletalk.com.bd for more details. 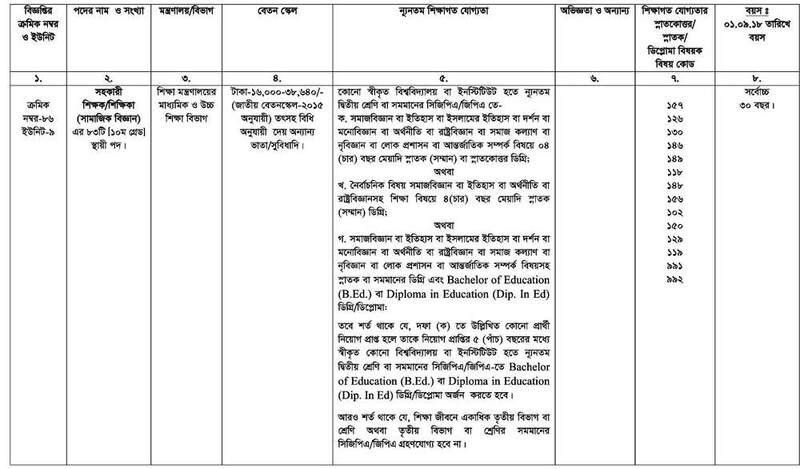 bpsc.gov.bd Non-Cadre Job Advertisement 2018 Job circular number is 58-67/2018, 68-82/2018, 83-94/2018. 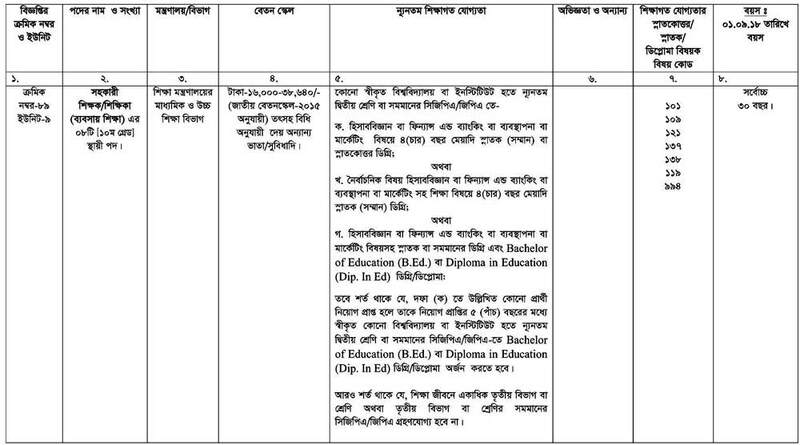 These jobs advertisements are deadline 8th October 2018. 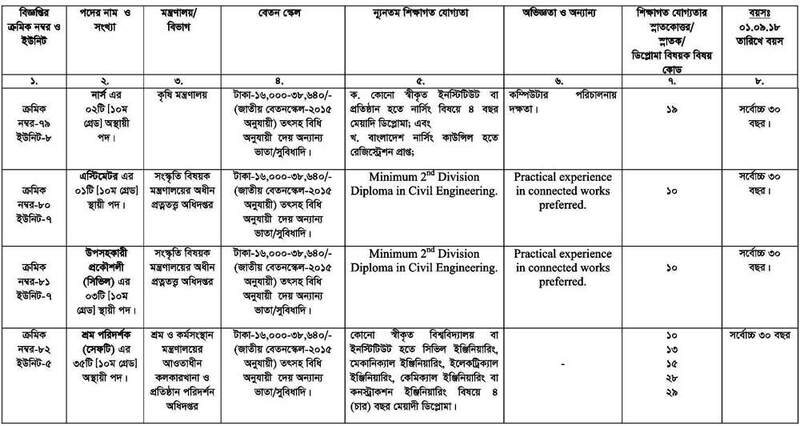 This BPSC Non Cadre job is 1st and 2nd class employee and grade 3, 4, 5 and 6. This job is non-cadre. If you want to get any job information then visit https://bdcareerinfo.com/. 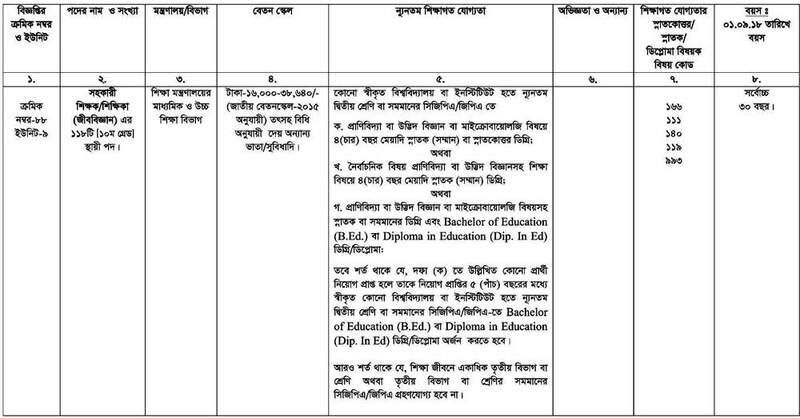 BPSC Non Cadre Job Circular Update 2018.